Nearly 400 complaints against Minneapolis police officers were filed with the city's Office of Police Conduct Review in 2018. That's a big jump over the 220 filed in 2016 and a similar number filed in 2017 — the same two-year period in which the department outfitted all of its patrol officers with body cameras. Minneapolis Police Chief Medaria Arradondo said the spike in complaints may be part of a nationwide public push for more police accountability. And he said he's encouraged people to file complaints if they feel mistreated by his officers. "I think there are also more venues for our communities to file complaints," said Arradondo. "Several years ago, someone would literally have to come into a police precinct and talk to a desk sergeant or an officer to file a complaint." The Police Conduct Oversight Commission released a study in 2016 which found that the complaint process was confusing and could discourage people from coming forward. The commission audits misconduct cases and makes policy recommendations. It advised the city to allow people to file complaints remotely, instead of at police stations or City Hall. Commission member Jenny Singleton thinks that was a factor, along with another change. "In 2016, there was a procedural change that made sure that pretty much every case filed flowed through the [Office of Police Conduct Review] — where some cases before only went through internal affairs," said Singleton. "That may be part of the uptick that you see since 2016." Details about each complaint are not public. However, what is public is the general nature of the allegations contained in the cases. Since 2016, a growing number of cases involved allegations which fall under a broad category called "violation of policy and procedure." And that catch-all group can include complaints about officers not following the rules about body camera use. However, Singleton said it doesn't appear that many of the cases result from either the use or misuse of cameras. "We have seen some cases related to body camera usage," she said. "Often it seems that is a secondary issue that comes up. Where there's a complaint about some kind of activity and in the course of that investigation it becomes apparent the officer didn't turn on the body camera when there should have been body camera footage available." The police department updated its body camera policy after an internal city audit conducted in 2017 found that too many officers were not activating the cameras when they were supposed to. When a former officer shot and killed Minneapolis resident Justine Ruszczyk that same year, the officer's body camera wasn't on in time to record the shooting. Arradondo said after a slow start, officers are now complying with the policy at a much higher rate than before. 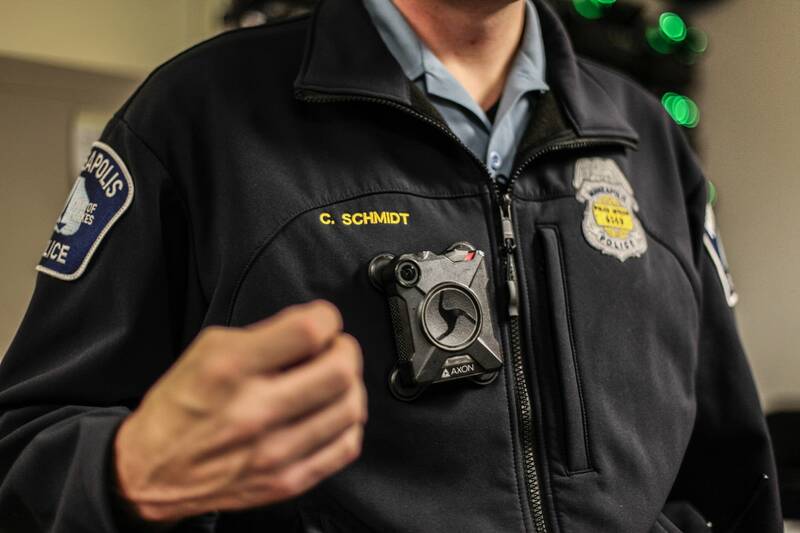 When used properly, body cameras can reduce complaints against officers, especially allegations of excessive force, according to former Minneapolis police officer Mike Quinn. However, Quinn, who often analyzes use-of-force cases for law enforcement agencies, said the research is mixed. "[For instance,] some departments that don't have a real high use of force complaint numbers in their department, you put body cameras on and nothing changes much," said Quinn. "And so, you can look at an agency like that and say 'well, it really didn't change anything here.'" A recent study of body camera use by the Metropolitan Police Department of Washington, D.C., found little or no change in the number of use of force incidents or misconduct complaints filed by the public. While the total number of complaints has gone up, some allegations have decreased. Since 2016, excessive force complaints against officers have dropped. Use-of-force incidents have also come down. However, Arradondo said it's too early to conclude that cameras are responsible. Jenny Singleton of the Police Conduct Oversight Commission said it may be time for Minneapolis to conduct a study of its own.